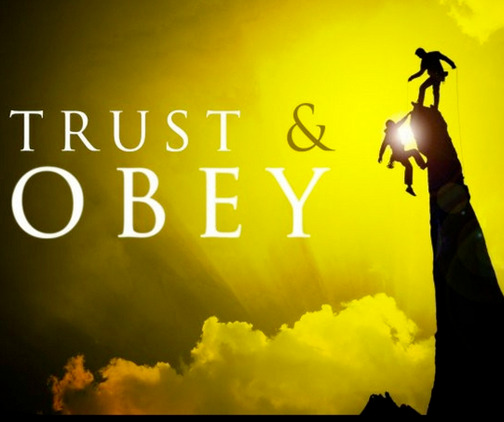 Being obedient to God’s call is not the easiest thing to do. Sometimes I hear His voice and what He is telling me (I often argue with Him but He still wins), and sometimes I decide to do things not knowing that it is part of God’s plan. I think I am doing it because it is what I want to do. I don’t know what He really has in mind for me until later. Well, I didn’t have any idea that this time God had a plan to use me. Every year we vacation in Hilton Head. I LOVE Hilton Head. Let me count the ways . . . the beach . . . the beach . . . the beach and did I say the beach? We have been going to Hilton Head for years and it is always something I look forward to. But in order to enjoy the beach, I like to have reasonable temperatures and did I say sunshine is a must? Rain and cold temperature are not a combination for a beach vacation, but that was what was happening last spring. So, I occupied myself in various things. As I was exercising (and yes on vacation) and watching the local news, a women’s retreat at a local church caught my attention. Ruth Graham Bell? Billy Graham’s daughter was the guest speaker. Hmm. I thought, Go! It is going to rain so why not? I quickly signed up for the conference the next day and then figured out where it was and how I would get there. The next morning, I found a warm welcoming group of women, embracing and greeting everyone. Southern hospitality oozed. As the sanctuary filled, the noise and hum of conversations quieted. After songs of praise and worship, the conference leader began, “Welcome, y’all,” she began. Spoken in a true southern drawl she began talking as if we all 400 of us were sitting at her dining room table having a personal conversation, “I am so glad y’all are here. I just need you to know that we need to show love to someone special today. I don’t see her yet, but there is a 15-year-old girl coming today who just lost her mother. Will y’all just love on her today?” I knew why God had sent me to this retreat. I thought it was for me but it was for this young girl. I had to let this girl know about the Motherless Daughters Ministry. Ruth Graham Bell was warm and eloquently led the woman sharing her life and challenges with them. After the lunch, I spoke with the conference speaker and asked if she would give a Motherless Daughters brochure to the young girl who had lost her mother. “Maw-the-less (southern for Motherless) Daughters Ministry,” she stretched out the words as if she was lingering on each and every syllable! Why I have never heard of such a thing. Tell me about it.” I shared with her, left some brochures, and returned to the sanctuary. After praise and worship, the leader spoke, “Ladies, I just want you to know that God is in the house today.” She holds up the Motherless Daughters brochure and says “Y’all ever hear of Maw-the-less Daughters? This is absolutely fabulous!” She begins to tell the women about the ministry and then paused, “Wait, why am I telling you about this? Mary Ellen, where are you? Please stand up. Y’all talk with her today. This is wonderful.” After the retreat, I was able to talk with many women about the ministry. The young woman was not at the retreat, but I feel sure that there were many present who would let her know about us. Another lesson for me. I thought I was doing something to occupy my time, and God really had another plan for me. He wanted me to spread His ministry to others. He continues to find ways to let the world know about the Motherless Daughters Ministry.